Thank you very much for this article! It helped me sort out a real pain. At home, in a LAN of five devices, I have a Windows 7 desktop PC that kept dropping its network connection once a day, every day. I found out from the System log that a “forced election” event (ID 8033, source BROWSER) took place at the exact same time, so I set to work trying to stop the event from occurring at all. I tried everything from stopping services to registry hacks to no avail. After trying for days I gave up, but some weeks later I came across this article and everything clicked into place. As I ran nbtstat on the PC, I found out it was not part of the LAN’s workgroup, but in the Windows default workgroup (d’oh!!). This meant the PC was the master browser in WORKGROUP, but in the primary workgroup a NAS was the master. Every time at 9.45 PM that NAS shut down, and in less than an hour the election happened; the election time varied, so I did not suspect the NAS was involved at all. I moved the PC into the primary workgroup and all is well. Thanks again! Thanks Scottie. Nit-wit neighborhood can be a big drag. Your work and humor are much appreciated. Thanks, Scottie. But when I tried running Lanscanner v1.3 I got the text shown below. The last two lines repeated over and over again. Had to Ctrl+Alt+Del to exit. My Win7 PC is connected to a large ethernet network. Typing net helpmsg 2107 displayed ‘The device is not connected’. Not sure what the problem is. Yeah, probably Lanscanner won’t work very well on a large network. I made it more for smaller home networks. It was probably trying to cycle through 1 gajillion different puters on the network, and it failed for some reason – hence the endlessly repeating error messages. That particular error can be caused by any number of things, so it’s kind of hard to debug. Sorry I can’t be of more help! I get System error 6118 has occurred The list of servers for this workgroup is not currently available. When I add 2 more puters I get: System error 53 has occurred. The network path was not found. Total of 3 pc’s running on 1st test, then 5 pc’s to get last msg. Thanks for the great tool, it has been very helpful for me! I tried on a german Win XP Prof., system drive is g:. LANscanner v1.3 does show me the master, but does not show the name of the workgroup (only one workgroup, 8 PCs). Instead I get a german error message about a “system error 87” because of “wrong parameter” and the help for “net view” pops up. Unfortunately, it only works on the English version of Windows since it uses system commands (like nbtstat). Thanks for a nice app, Scottie. Aha! I had totally forgotten about that… Yeah, I’m not sure why Client for MS Networks is there sometimes, and not others. I reckon I’ll add a note to the article about this, because I suspect it is the cause of many a problem. Thanks! Thanks for the great program. However, when I run it I get “System error 58 has occurred. The specified server cannot perform the requested operation”. the command works. If I leave off the quotes it fails, as does LANscan. Aha!! Thanks for this. I’ve updated LANscanner to v1.4, and made it space-friendly. It never occurred to me people might use spaces in a workgroup name (!!!). I’m probably the only person on the planet that put a space in a workgroup name, but just in case the other one comes across LANscanner and tries to use it, it will work for them too. Thanks for the fix, its a nice tool. It told me I have two workgroups on my network, I didn’t know that. The router is one and everything else is on the other one, with the space. Thanks for this great software!!! Getting the System Error 53 aswell, but doesn’t look like I have spaces in neither my workgroup name or any of my computers’ names. Not sure how to solve it! Any idea why some hosts display with a MAC ID of zeroes? I’m not sure, but it seems to be a Linux thing. My linux box and linux-based media player on the network both report a MAC address of all 0’s. for all machines on the network. Can you run this command manually with the names of various machines on your LAN? can you mail me the script, so i could probably make a german version? Thanks again for a great utility! When I run nbtstat – COMPUTER-A, it returns Computer-A listed twice (both as “Unique”), along with the Workgroup name. Well rats! Of course Computer-A is listed twice: it has two adapters! But I’m still puzzled as to why Computer-A doesn’t appear at all in lanscan. Well, that’s a weird one. 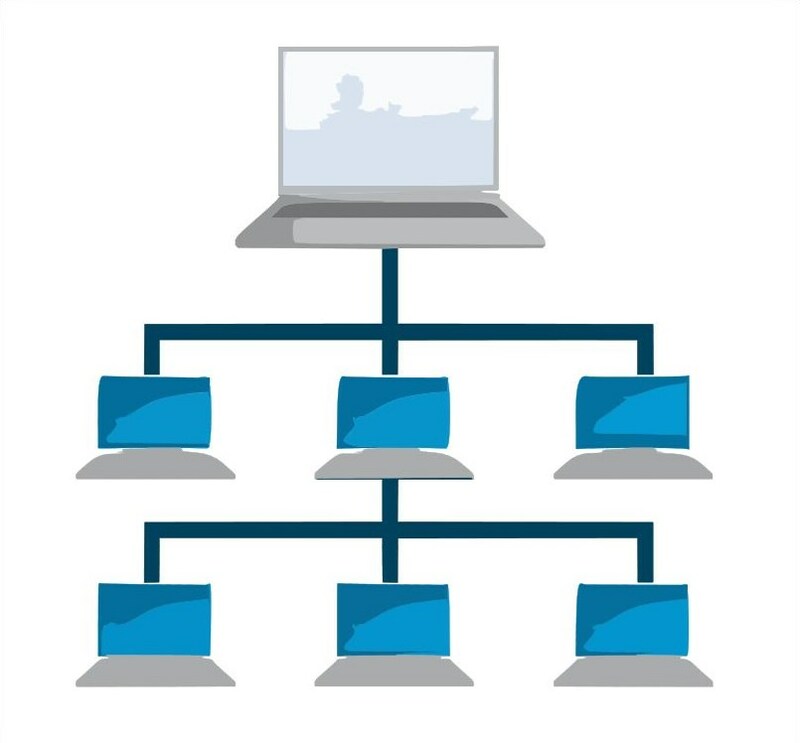 Computer-A has 2 networking adapters, and both are in the same workgroup as B and C, and do they both have IPs on the same subnet? Or not? This would be a problem, because which IP is it going to get back? The IP from adapter 1, or adapter 2? Or maybe neither? When I ping -n, etc., I get the normal response but only for adapter 1 (which happens to be the network that I’m having the problem with). Adapter 1 is the wireless; adapter 2 is ethernet. Oh, right… There’s only 1 place to set the workgroup. Well, I’m not sure what’s going on. What is the WiFi used for? Are the ethernet and WiFi bridged or is there “internet connection sharing” going on or anything like that? Somehow, I’d have to duplicate the problem in order to be able to debug it… which I might be able to do with my laptop if I turn the WiFi on. -Computers A and B are laptops and use WiFi. -Computer C is a desktop (with no WiFi card)and is ethernet-wired to A to facilitate file transfers. -The networks are not bridged. Both networks are on static IPs, but the third octet is different. I was looking for a nice little app like yours, but I have problems on Swedish Windows 7. I get the system error 87. I can´t see all devices on the network. And there are no MAC addresses shown. Any possibility to make your app compatible with other languages then english? Well, it’s a bit tricky because Lanscanner looks for the English command responses. So, I’d need to know what they are in Swedish Windows, but my Windows is English only. What commands are you running? If you could send the commands I can give you the responses from the Swedish Windows. Either post them here or send me an e-mail. I hope you can see the address I used to post here. I translated the Swedish expressions to what I believe is the English equivalent. But they might be wrong, but I hope you can pinpoint the true English expression by this info. Regarding the ping command, it´s a bit harder, because of all information bloated together. What info are you using from the ping command? Well, actually it would be better to have the entire output from the commands. I sent you an e-mail! If you’d like LANscanner to work in your language, please e-mail me the output of the command: nbststat -A IPADDY, for any IPADDY on your LAN. See above for other new features, and the download link! Can lanscan be piped to a text file? Has anyone ran this remotely, like with psexec or with powershell? After a while hit enter, because lanscan needs a key input due to the pause when it´s done. So depending on how many computers you have in your network, just try to hit enter after 5~10 seconds. The output textfile will be in the same dir where lanscan is. So, what happens when you run the first command (net /view domain)? Usually the reason this error happens is because Windows is set to a language LANscanner does not yet speak. Other causes can be some device on the network that is “doing something weird”, which is a highly technical term. according to browmon on xp the master browser is “unknown”. I am attempting to find out what is unknown. I have about 20 devices on my network; which worked fine until I returned from a one week vacation and could not watch my wdtv movies since the server cannot be found. browmon showed MYBOOKWORLD was the master for several years. currently taking one device at a time off the network to see if I can find a culprit. Would like a more intellectually honest solution. I have several devices that are not actually pcs showing on the network (when it used to work) such as WDTV and mybookworld servers. turning macbook off got mybookworld back as the master browser. Is there some setting on macbook that can be made to remove it from trying to assume master browser? Oh sweet jeebus… The last time I tried to futz with the Samba settings on a Mac, I couldn’t, because they had somehow managed to make the standard config files locked and autogenerated by some obscure means. It’s not like editing Samba settings on linux, which is a 5-second operation with any text editor. Then I tried to use a supposedly “easy to use” bit of software that supposedly allowed one to modify samba settings via a lovely UI. It didn’t work. Great app, saved me loads of time and this app is going into my toolbox! Nice work! Hi, I tried this little very useful app, thank you so much. I have a question, why do I get the message “ping failed!” even when the pc pinged is on?. On the computer you are running Lanscan on (where PUTER_NAME is the name of the PC in question; quotes are not necessary unless there is a space in the puter name). If it doesn’t get an IP address in the response, it gives the “ping failed” message. Thanks for developing this small but very useful program. I have the classic error 87 the language. In my case I use Windows 7 64 bit in Spanish. Besides I do not see all network computers in the list. LANscanner does not yet speak Spanish, but we can fix that! What is the output of the following when run from a command prompt? With that, I should be able to get it working with Spanish Windows in about 10 seconds. Grab new version 1.54 for Spanish Windows support! Cudos for this great utility! Worked like a champ on our SMB network. It showed that someone had disabled the Computer Browser service on both of our AD servers (for what reason I have no idea), so the list was bouncing back and forth between workstations. Enabled the service and started it. Now both DCs grabbed the role and are handling it for their respective subnets.